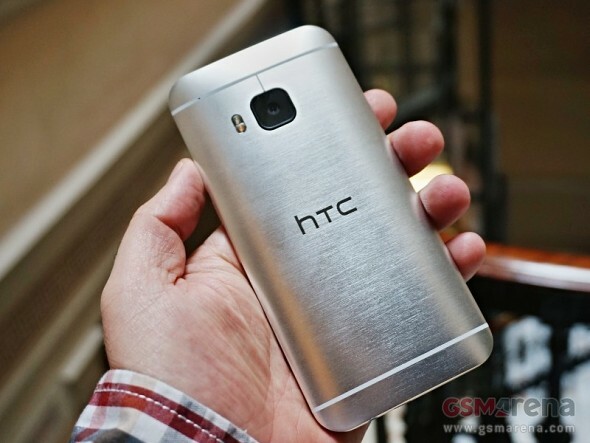 AT&T begins taking orders for the HTC One M9 at midnight in just few hours. All orders placed until 1PM CT will ship the same day, while the rest will be fulfilled within the days after tomorrow. AT&T offers the HTC One M9 for $199.99 with a 2-year contract. AT&T Next payment plans are available too - Next 24 has it on $23.64/month, Next 15 - for $29.55, and Next 12 is at $35.45. The contract free price of the HTC One M9 32GB at AT&T is $708.99. AT&T One M9 sales open at 12:01AM ET tomorrow, Friday, March 27, and if you are fast you can have it in less than 24 hours. The HTC One M9 in-store availability will kick off April 10 nationwide. T-Mobile US will be launching its sales campaign for the HTC One M9 tomorrow, too, only it's only taking pre-orders. The first batch of the One M9 will include only Gunmetal Gray and Gold on Silver paintjobs. Pre-orders open at 6:00 AM PT. The One M9 costs $0 upfront and $27.08 for 24 months. Those who pre-ordered the HTC One M9 via T-Mobile will get it a few days earlier than retail premiere on April 10, but the magenta carrier didn't specify how early exactly. If you are interested in the HTC One M9 - you may want to check our in-depth review right here. Plastic is pretty much the best for cold countries. It doesn't freeze my hands and you can even make phone calls while being out during winters. This phone was released on 24/3/15 in Australia. I work for an accessories shop and some guy brought it in looking for cases - unfortunately we do not have any yet but had a play with the phone, seems pretty good!